What's the difference? All are sweet, yet some are “refined” sweeteners, some are “natural”, and still others are naturally sweet whole foods. Is all sugar unhealthy, or does it have a place in a healthy, real food diet? Monosaccharides are single sugar molecules such as glucose and fructose. When any two monosaccharides bond together, they form a disaccharide such as sucrose or lactose (the sugar present in milk). Both monosaccharides and disaccharides are known as “simple sugars” because the body digests and/or absorbs them quickly for metabolism. Monosaccharides can be absorbed into the bloodstream as-is (no digestion required), while disaccharides are first broken down into their component monosaccharides. So, what makes sugar unhealthy… at least some of the time? To answer this, we must consider each sweetener or sweet food individually. What else, besides sugar, is in each food? Is each food actually food? In other words, is it real, whole, minimally-processed, and something our great-grandmothers would have eaten? And finally, how much of this sweetener or sweet food are we going to eat? With these questions in mind, let's take a look at the three categories of sweeteners I'm addressing in this post: refined sweeteners, natural sweeteners, and naturally sweet whole foods. Are refined sweeteners actually food? Nope. 🙂 They are highly-processed and modern. 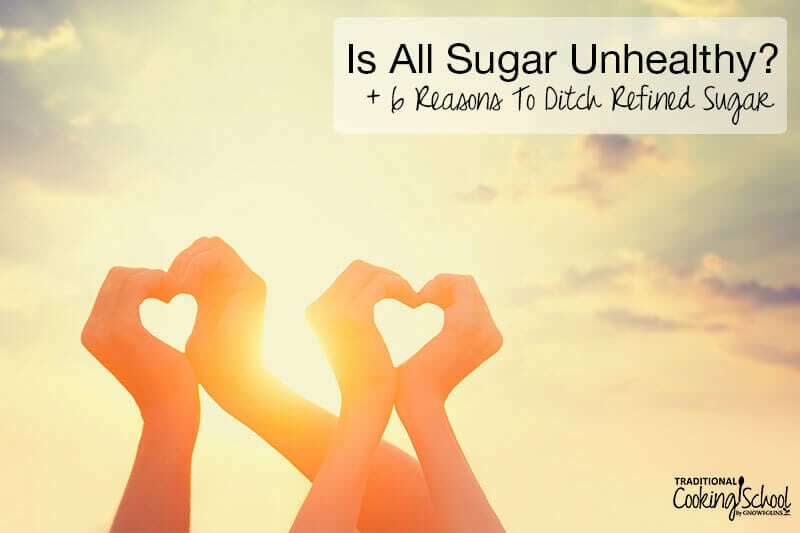 What else, besides sugar, is in natural sweeteners? Honey, for example, is comprised of both fructose and glucose, yet is also rich in enzymes, antioxidants, and polyphenols. The sugar in molasses is mostly sucrose, yet blackstrap molasses also contains ample potassium, calcium, multiple B vitamins, iron, magnesium, and manganese. (Paleo Principles, pages 304-305 and source.) Other natural sweeteners such as maple syrup and coconut sugar also have some antioxidants and minerals, yet not as much. Are natural sweeteners actually food? Absolutely. In fact, honey has been prized throughout history, and modern hunter-gatherers such as the Hazda and Mbuti still eat vast amounts of it during certain times of the year (source). 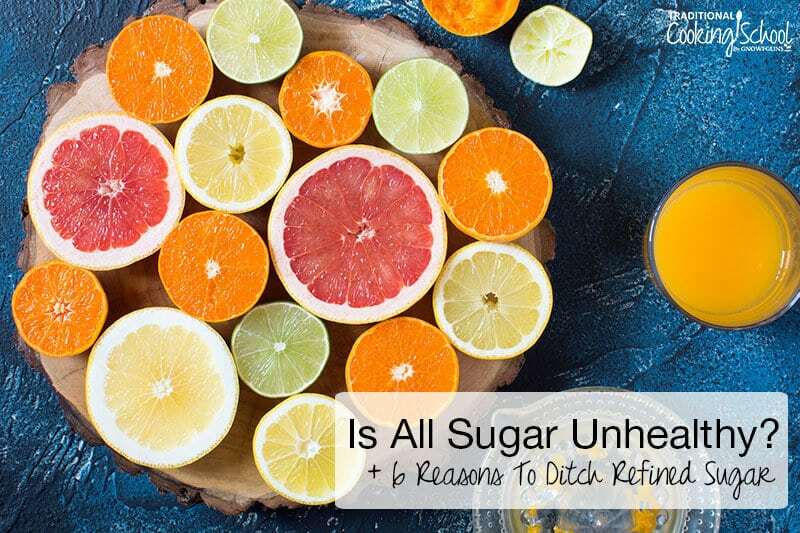 What else, besides sugar, is in naturally sweet whole foods? Fruits like bananas and apples (and even some vegetables) contain sucrose, glucose, and fructose — yet they also contain antioxidants, fiber, vitamins, and minerals. Breast milk truly packs a nutritional punch with fats, protein, and a full spectrum of vitamins and minerals to complement its lactose! Are naturally sweet whole foods actually food? Yes! So, you see, the real difference between refined sweeteners, natural sweeteners, and naturally sweet whole foods is the mode of delivery. Naturally sweet whole foods come in a “food matrix”. They're bursting with fiber, protein, fats, and more to mitigate the effects of sugar on our bodies (we'll get to these effects in a minute). Even natural sweeteners boast of antioxidants, minerals, and other nutrients. Refined sweeteners, on the other hand, are empty calories with zero nutritional benefits. There's nothing to act as a buffer against all that sugar. After absorption into the bloodstream, glucose stimulates the pancreas to secrete insulin, which allows glucose to enter cells all over the body. These cells use glucose for energy via a process called cellular respiration. This reaction is pertinent to this discussion only because its end products include molecules called reactive oxygen species which cause inflammation. They do good things too, but no matter what, they are also inflammatory. This is just part of the price we pay for eating foods! It happens to everyone. Scientists call it postprandial inflammation. a high carbohydrate diet, especially a diet high in refined carbohydrates. Unfortunately, high fructose corn syrup specifically is often consumed in beverages such as sodas. Since we don't tend to compensate for calories we drink, if we consume these sweetened drinks often, we easily overeat. So, not only are we overeating, but we're also loading up on the refined carbs. This is a double win for inflammation. Let's back up again — to the moment that glucose absorbs into the bloodstream. Depending on the food ingested, glucose enters the bloodstream at varying speeds. Think: a steady trickle (slowly metabolized foods such as complex carbohydrates or fruit eaten with a meal), or a sudden flood (quickly metabolized foods such as sugary sodas). The former produces sustained, consistent energy levels. The latter results in a sugar high followed by a crash. Whatever the speed at which glucose enters the bloodstream, the pancreas secretes insulin in proportional amounts. 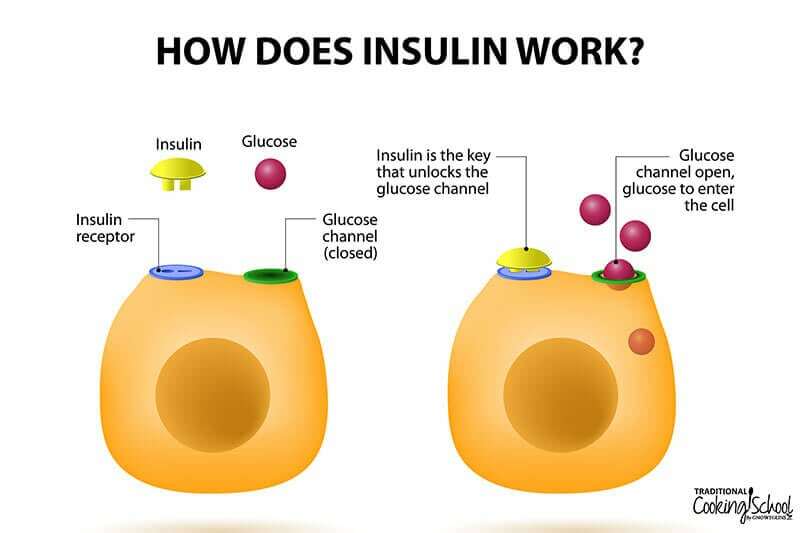 Insulin then helps ferry glucose into cells which utilize it for energy. That's how it's supposed to work, anyway. Excessive carbohydrate consumption — especially of quickly metabolized carbs — leads to insulin overexposure. There's so much glucose around that cells simply don't need any more (the body stores it as fat, instead), and there's so much insulin around that cells start to become desensitized to its effects. Sugar, due to its elevation of insulin, affects fertility. While only 10% of women have poly-cystic ovarian syndrome, 70% of them actually have insulin resistance-induced PCOS. In other words, if you fix their insulin resistance, you fix their PCOS. Why? Sugar affects men's fertility, too. According to one study, consumption of 75 grams of sugar immediately decreases testosterone levels in men by 25%. That's equivalent to about two 12-ounce sodas. The sugar and insulin saga continues. This time, with leptin — the “hunger hormone” responsible for suppressing appetite. This safety mechanism against over-eating is disrupted by chronic sugar intake. How? Excess sugar leads to elevated insulin, as shown above, and elevated insulin stimulates overproduction of leptin (normal levels of insulin produce correspondingly normal levels of leptin). Fructose affects the stress response by causing atrophy of the hippocampus in the brain. The hippocampus, so named because it looks like a seahorse, helps us form memories and regulates the stress response via the HPA axis — an endocrine system consisting of the hypothalamus, pituitary, and adrenal glands. These three endocrine glands communicate with each other to produce cortisol and other stress hormones. The hippocampus sits atop of them all, standing by to start or stop the process as needed. It's very important to have a healthy, functioning hippocampus! According to this study, high blood sugar levels cause up to 10% more brain atrophy in the hippocampus (and amygdala) than normal or low blood sugar levels. This supports an animal study which shows that rats experience memory problems if allowed to freely drink beverages with high concentrations of high fructose corn syrup (source). Cortisol is an incredibly catabolic hormone. In other words, it dissolves things. It damages the gut lining (causing more intestinal permeability), blood vessels, and… you guessed it, the hippocampus. In fact, the hippocampus has more cortisol receptors than any other place in the body. When cortisol comes to town, it lights up. Chronic elevated cortisol, from lots of the sugar in this case, feeds back to the hippocampus and causes it to atrophy. This, of course, allows for an even greater stress response and more cortisol because the hippocampus, once damaged, can't shut the HPA axis down. Eventually, given enough hippocampal atrophy, other parts of the brain notice and turn cortisol release off. This leads to the low cortisol associated with HPA axis dysfunction, and a variety of symptoms, including fatigue, aches and pains, and insomnia. Hippocampal atrophy is also associated with post-traumatic stress disorder, memory problems, and more. Remember the blood sugar crashes I referenced in point #2? Quickly metabolized carbs such as sugary sodas dump a lot of glucose and/or fructose into the bloodstream all at once, and when it's promptly used up, a sugar crash follows. When the crash happens, a bloodstream devoid of glucose stimulates cortisol release (source). Cortisol functions oppositely to insulin — whereas insulin shuttles glucose into cells, cortisol pulls glucose out of storage and back into the bloodstream. It's important for the bloodstream to have some glucose, after all, because it's used for energy. Cells need glucose, simple as that. Excessive sugar intake, especially of quickly metabolized carbs, puts the bloodstream on a sugar roller coaster. Suddenly there's a ton of sugar, then just as suddenly, there's none. Every time a crash happens, the adrenal glands release more cortisol, and we've already seen the effects of elevated cortisol, above. So this is just another way sugar's stimulation of cortisol leads to brain atrophy, HPA axis dysfunction, and more. Learn more about HPA axis dysfunction here. High fructose intake (high fructose corn syrup is the problem — not fruits and veggies!) exacerbates Vitamin D deficiency by increasing the activity of enzymes that degrade this important vitamin, and decreasing activity of enzymes that help synthesize it. Since Vitamin D is an important hormone that increases dietary calcium absorption, aids in immunity, and protects the prostate from cancer, deficiency is a big deal! In fact, men who regularly eat sugar-sweetened beverages have three times the risk of developing prostate cancer (source). Learn more about Vitamin D here. Did you notice? Four of the six points (five if you count biologically active Vitamin D as a hormone, which it is!) illustrate sugar's direct and indirect effects on hormones: insulin, female hormones, testosterone, leptin, cortisol, and Vitamin D.
So, yes, it's pretty fair to call sugar an endocrine disruptor. For this reason and more, refined sweeteners — and even excessive amounts of natural sweeteners and naturally sweet whole foods — probably aren't the best things to be eating day-in and day-out. And yet, as with anything, moderation is key. Barring a major health condition (such as diabetes), your body can probably handle small and occasional amounts of sugar. Even better, if you're going to eat something sweet, do so in the context of a balanced meal. The protein and the fat will slow the release of sugar into the bloodstream, and buffer its effects. Furthermore, you can keep in mind the glycemic index or glycemic load of foods. Think of the glycemic index as a measure of how quickly the sugar in a certain food enters the bloodstream. The glycemic load measures the same thing, except it also takes into account how much sugar is actually in the food. If you struggle with eating too much sugar too often, check out 7 Tips For Overcoming Sugar Addiction! Do you eat refined sweeteners? How about natural ones? Do you feel any differently when you eat sugar? When I can’t use honey in a recipe, I have used coconut sugar. I recently purchased Morena sugar. Is that pretty comparable (biologically) to coconut sugar? It’s much less expensive. Thanks! This is such a good post! Very informative! Thank you, Heather! 🙂 I’m so glad you found it helpful! Excellent article in many ways, thanks! I’ve not seen articles that explain various aspects of this complex issue nearly as well. Fresh sugarcane juice is sugar in a more natural form and has a number of health benefits. Our local juice shop prepares it from sugarcanes while we wait and adds ginger and lime juice. I find it more hydrating that coconut water. Wonderfully informative! Thank you. 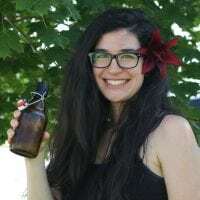 Please would you speak about using sugar in kombucha brewing. Once again, great information! I believe people of all ages are under this problem at one point of their lives, sooner or later. You should publish this in a magazine! OR develop a TRADCOOKINGSCHOOL Magazine. I think the blog is similar to what a magazine is. I’m just excited for you and the site!